Poached chicken – a fantastic discovery! I love finding out new ways to cook things. Baking , slow-cooking, deep-frying, grilling… and my personal favourite: poaching. I now eat poached eggs every morning at my office canteen, as they not only look beautiful, but also taste delicious and aren’t dripping in oil. I haven’t yet mastered the art of poaching eggs myself, but it is a skill I hope to acquire one day. This recipe could not be easier: Just put everything except the chicken in a pot and set to boil. 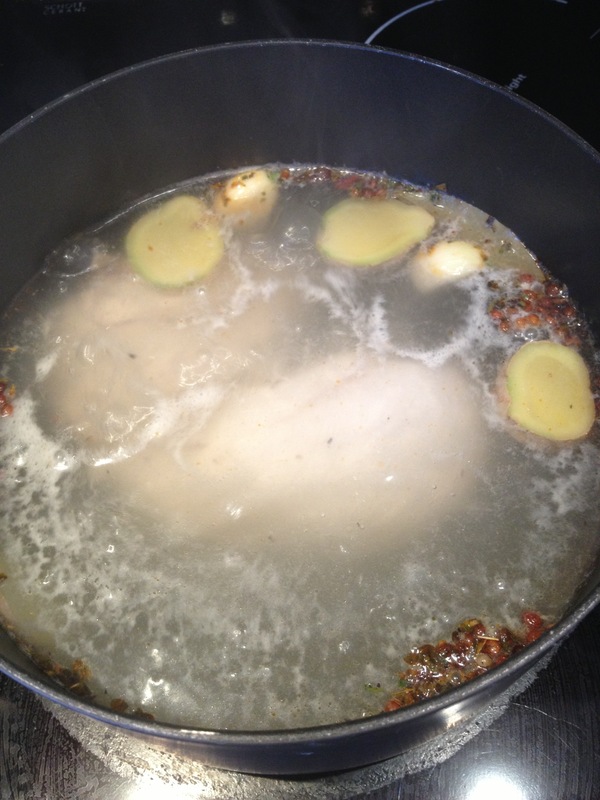 Once the water boils, add the chicken, turn down the heat and let simmer for about 7-8 minutes. Then turn the heat off and leave the chicken in the water. When I cooked it, I didn’t leave it for too long, but ideally it should sit for around 1 hour (at least). Then, remove the chicken and shred or cut it into pieces. 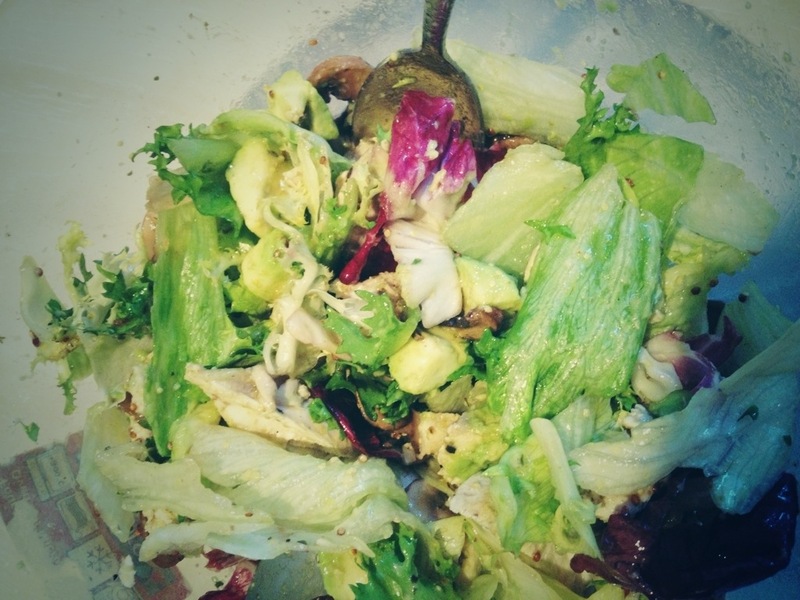 I put it on top of a salad made of lettuce and avocado and mixed it all with a mustardy vinaigrette. Before I poured the vinaigrette over though, I added 3 tbsp of the leftover chicken liquid, which made ALL the difference. I also had some fresh olive bread on the side, which fit perfectly!